4pm-6:15pm – April 4th Commemoration with keynote speaker Dr. Omid Safi and reflections from Dr. King's colleagues, Rev. James Lawson and Rev. Jesse Jackson. 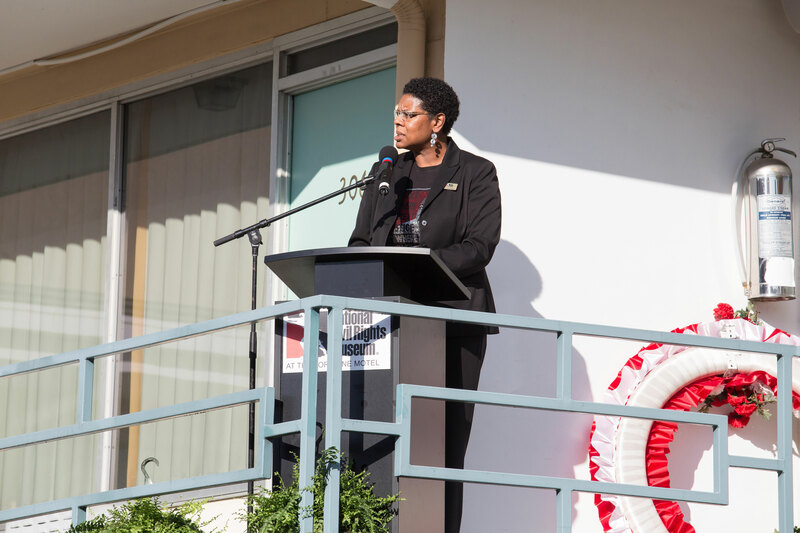 The National Civil Rights Museum will remember the life and legacy of Dr. Martin Luther King, Jr. at its April 4th Commemoration from the balcony of the Lorraine Motel. Staff will host children’s activities and community engagement during the day. The event will begin at 4:00pm and culminate at 6:01pm, the time the fatal shot was fired 51 years ago. 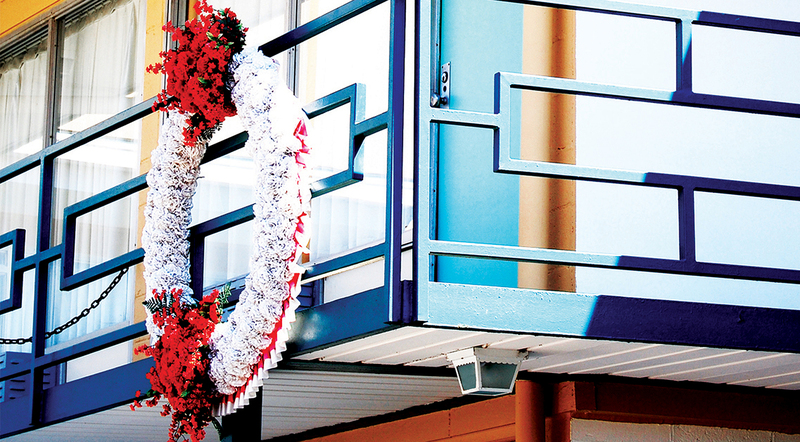 The museum will pause for a moment of silence and the ceremonial changing of the wreath on the balcony at Room 306 where Dr. King was slain. 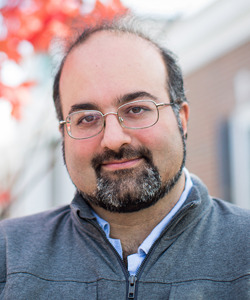 The Commemoration keynote speaker is Dr. Omid Safi, Director of The Islamic Studies Center at Duke University, and one of the featured speakers from the MLK50 Commemoration. Safi teaches courses on Dr. King and Malcolm X at Duke and is committed to liberationist spiritual traditions that bring together love and justice. He leads an international program focused on diverse religious traditions in Turkey and Morocco. He has written many books, including Progressive Muslims: On Justice, Gender, and Pluralism, Cambridge Companion to American Islam, Politics of Knowledge in Pre-modern Islam, and Memories of Muhammad. His most recent book is Radical Love: Teachings from the Islamic Mystical Traditions. Special program guests also include: Dr. King’s colleagues, Rev. James Lawson and Rev. Jesse Jackson; Shelby County Mayor Lee Harris; Memphis Mayor Jim Strickland; Dr. King’s fraternity, Alpha Phi Alpha Fraternity Inc.; and the LeMoyne-Owen Concert Choir, under the direction of Gavin Wigginson. From 10am-3pm on April 4th, the museum will host hands-on activities for children and families including creating a miniature signs for peace and justice and making paper carnations with messages about King’s legacy to be added to a community-designed wreath. Guests can engage in a “Share Your Story” video from 12pm-4pm to express their sentiments about Dr. King and the impact of their museum experience. The videos will be shared on social media in recognition of the museum being named a finalist for the 2019 National Medal for Museum and Library Service by the Institute of Museum and Library Services. April 4th Commemoration, an annual event at the National Civil Rights Museum. 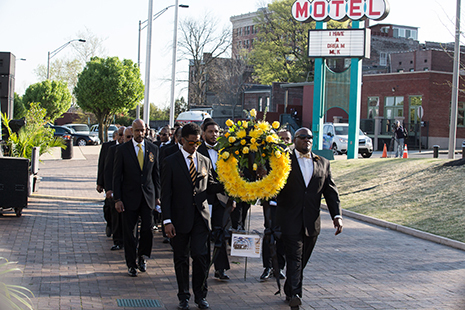 The Brothers of Alpha Phi Alpha Fraternity, Inc. salutes Dr. King, who was an Alpha, with a wreath-laying ceremony in fraternal colors. 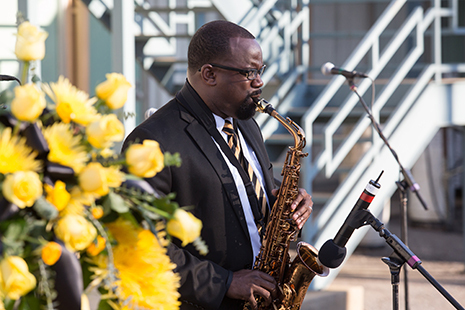 A musical tribute to Dr. King is delivered instrumentally and vocally during the commemoration program. 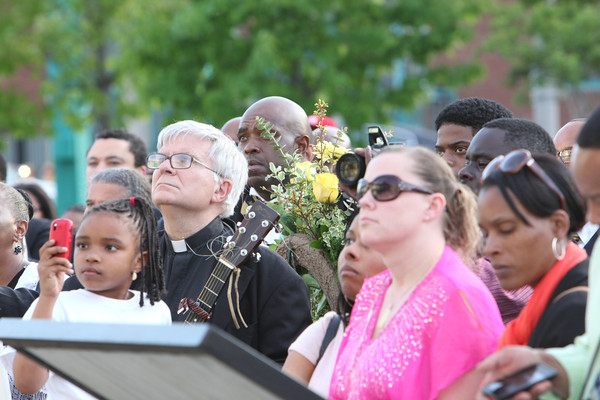 Museum staff and guest speakers deliver words of reflection and invite guests to carry on the legacy of nonviolence, peace and harmony with a community litany. A diverse audience from near and far pays homage to the life and legacy of Dr. King each year during April 4th commemoration.